Heated walls and floors are a pure luxury feature. These can be floors in your kitchen, walls in your shower or many other surfaces where warmth is desired. The heat is provided by liquid filled tubing run below your floor or by electric resistance mats placed below tile or wood flooring. Radiant heat has many benefits including even room heat distribution and being silent. 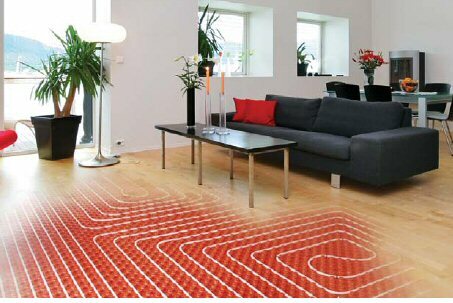 Floor radiant heating is loved for its ability to keep tile and other “cold” flooring surfaces comfortably warm. These systems are similar to those used in the heated driveways previously covered.